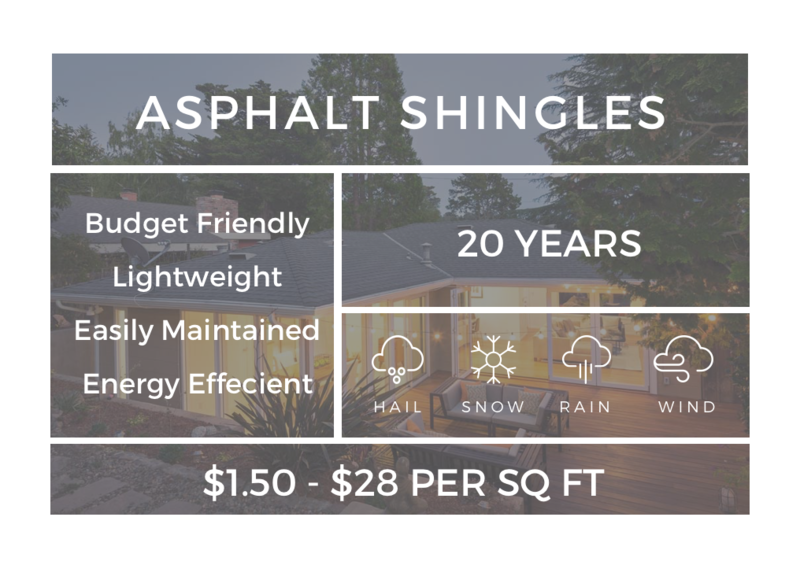 Step 1: Calculating – How Many Shingles Do I Need? It’s always smart to get roofing price quotes from at least four pre screened and licensed asphalt roof installation professionals before starting your project in order to get the best price. Use a tape measurer to find the length and width of each section of your roof. Repeat for each section of your roof. For example: a 10 Square Roof is actually 1000 sq. ft overall. Use this number to buy the correct amount of asphalt roofing shingles & underlayment to cover your total roof area + 10%. Before you learn how to install roof shingles and actually start the process of installing them on your home, you have to know how many you need. If you don’t already have a measurements that you can use—like paperwork from prior roofing work—you should measure your roof. The simplest way to get the area of your roof will likely require you climbing up with your tape measure and getting help from a friend or family member. This may be a job best left to the pros if you have any safety concerns about being on a roof. Measure the length and the width of each section of your roof and multiply the two dimensions together. 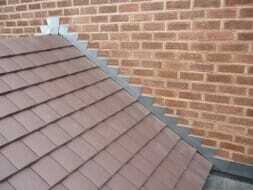 This gives you the roof’s surface area of that individual section of roofing. Add all the roof’s areas together to find out exactly how much roof surface space there is overall. Do this in feet and then divide the total that you come up with by 100 to get your figure from square feet to what is known as squares. A 10 square roof is actually 1,000 square feet overall. When you know how much square footage you have to cover you can buy your shingles and your underlayment. Just be sure that you buy enough to cover your total roof area plus 10%. That ensures that you’ll have enough roofing to completely get the job done. Once you have this knowledge down, you should be able to start the first step of learning how to install roof shingles like a pro. The second step in your “how to install asphalt roof shingles” guide is to get any roof flashing in place that isn’t already there. Every one of the valleys in your roof, or the sections where one part of your roof runs into another part at a different angle, needs to have flashing added in. Roll out flashing in each of these sections and lock it down using roofing nails at the outside edges while leaving the center free of any nails. Nailing too close to the center of this flashing will result in leaks through your roof. As you are installing the shingles around valley flashing you have to remember to apply roofing cement underneath each row of shingles up close to the valley. Also add flashing where the roof buts up against a wall of the house in the case of dormers or a multi-tiered roof and add flashing around any chimneys or skylight windows to protect them against the elements. If this isn’t the first set of roofing installed on your home, chances are good that the flashing will already be in place and you can either leave it in place if it’s in good shape or copy what the roofers did when replacing it. 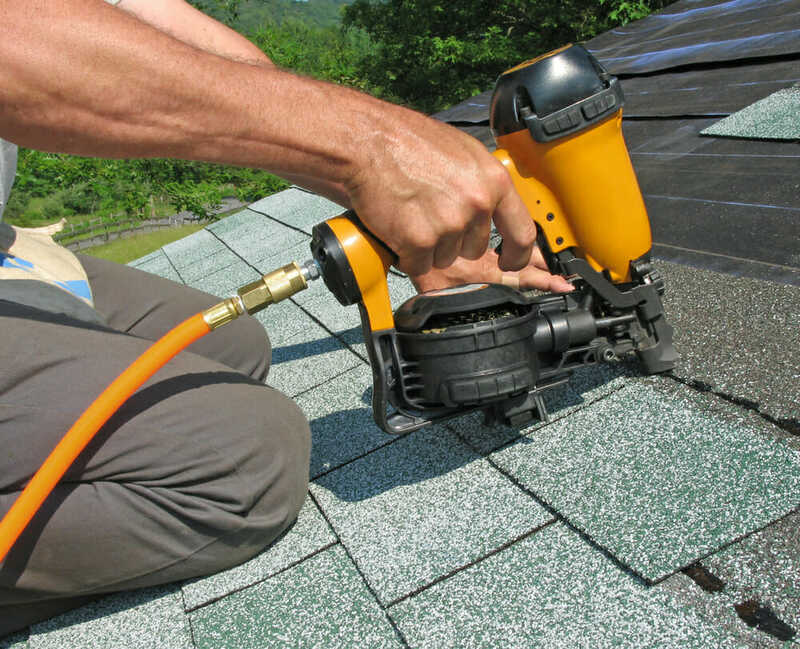 After you finish installing the flashing, prepare the surface of your roof for the shingles. To do this you need to install a drip edge, an ice and water barrier, and an underlayment. 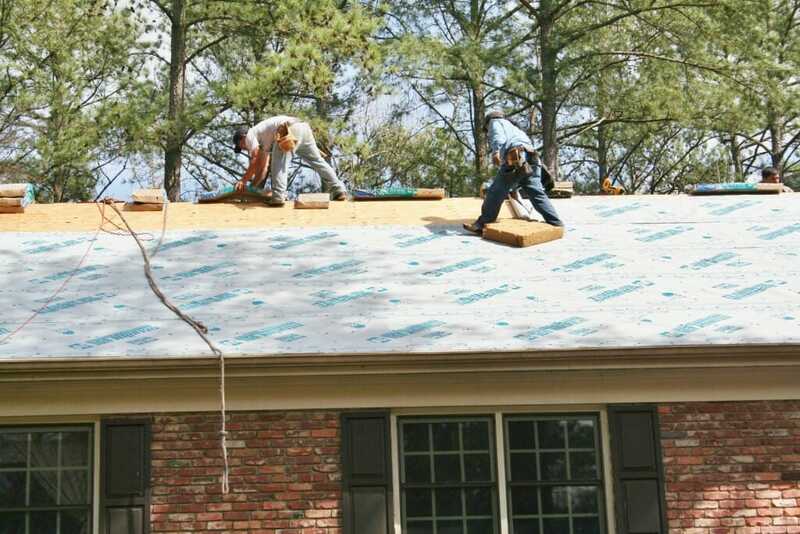 First you adhere the ice and water underlayment along the edge of your roofline with staples or nails making sure that it folds down and over the face edge of the roof by an inch or two. With the ice and water barrier in place along the lower edge of the roofline, nail the upper face of the drip edge down on top of the ice barrier, taking care to overlap the drip edge at the seams to get a continuous protective surface. With the drip edge and ice and water barrier in place at the bottom, you can move on to installing the underlayment you chose. To install the underlayment you want to roll out a single roll of the material so that it hangs down over your drip edge and lock it down using cap nails spaced out about every 8 inches throughout the roof. Bring the cap nails to around 4 inches apart at the lower edge of the underlayment, but be careful not to nail down into the drip edge on the first run. On subsequent runs of the underlayment, continue installing one row after another so that the next row overlaps the previous by at least 6 inches until you completely cover the roof up to just below the ridge on each side. Now put a run of felt paper over top of the ridge so that it splits right in the middle of the ridge and comes down to cover and overlap the underlayment on either side. Finish by adding drip edge along the sides of the roofline over top of your underlayment. Now you’re ready to begin installing the shingles. You took the time to properly protect your roof against ice and water that tries to drip back underneath your shingles as it’s flowing down, and now it’s time to put the actual shingles on your home. Begin your shingle installation by laying a row of starter shingles along the lower edge of the roofline and nailing them down using roofing nails. With the starter shingles laid along the very edge of the roof, run a set of starter shingles along the sides of the roof as well, making sure that those rows come down and overlap the starter shingles you laid at the bottom. Do this on both sides of your roof and then install ridge cap shingles over top of the ridge. Start at the left side of the ridge and nail the first shingle on the right side. Lay the next cap shingle over the first so it covers that nail and nail it in the same way on the left side. Continue this all the way to the end of the roof. Seal the nail holding the final cap shingle with a bit of roofing tar to help prevent water from getting in. Make sure that you have rubber protective boots secured by flashing around all of the vents and pipes as you are installing your shingles. These protective boots need to be snug to the pipe or vent with the lower flashing on top of the shingles and the upper flashing below the shingles. On the sides the flashing should run underneath the shingles and be nailed under the shingles. This allows water to flow down the shingles and run right over the flashing and keep on going without making it into your home. Following these steps accurately will ensure you have properly learned how to install roof shingles. After you complete the installation you should keep a close eye on your home over the next few months. Look for signs of roof leakage in the roof, and look for any sections of the roof that seem to be flapping or blowing up more than they should be. A single mistake can leave a section of shingles ripping off and allow water right into your home. 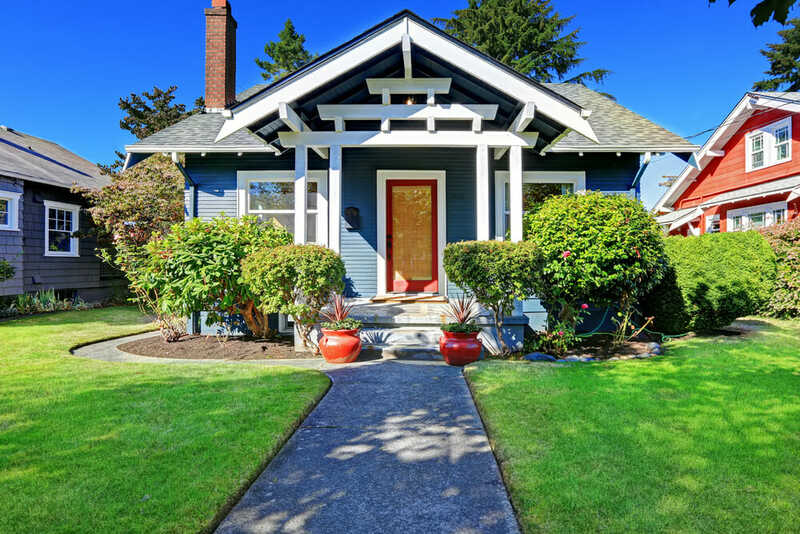 As long as you keep a close eye on your house you should be able to spot possible mistakes and problems before they become major issues on your home. Installing a shingle roof is a project that a homeowner can complete on his or her own, but it’s not an easy project. It’s something that you have to take the time to understand and evaluate before doing. If you aren’t confident in your abilities, it’s much better to leave the task up to a professional instead of attempting the project and making a mistake. You should now have learned enough information to thoroughly know how to install roof shingles. However, feel free to get free quotes from local roofing contractors above if you’d like to find out about roof installation costs in your area.